Conference Series LLC Ltd invites all the participants from throughout the world to attend ‘21st World Congress on Neonatal and Pediatric Oncology’ during April 15-16, 2019 in Osaka, Japan which comprises of elicit Keynote presentations, Poster presentations, Oral talks, and Exhibitions. The conference delivers the research works of Pediatric Oncology skill from numerous scientific backgrounds and the same can be observed by young researchers and students. Pediatric Oncologists 2019 mainly objectives to broadcast knowledge in both life sciences and medical sciences need in course of research work and therefore would be a perfect venue of Osaka to share and develop knowledge on key tools. In Pediatric Oncologists 2019 conference, is a global platform for presenting research about most recent techniques, innovative technologies and many newly implemented drugs for the treatment of Pediatric and Neonatal Oncology, exchanging thoughts about it and thus, contributes to the distribution of knowledge and decreases the incidence rate globally. Frequently there are more than a few speakers within each conference, and these speakers are specialists in Oncology fields. In Pediatric Oncology Conference various topic analyses are programmed each day during the conference, and participants can typically make their choice of topics from among these programmed global events. Neonatology is the branch of medicine concerned with the development, care, and diseases of a newborn infant, especially the premature or ill infant. It is vital that the premature infants are should have been taken in an emergency unit. The patients of neonatologists are newborns who suffer from prematurity, low birth, weight, congenital malformations (birth defects, intrauterine growth retardation), cardiac disorders, sepsis, pulmonary hypoplasia, etc. Neonatology is the medical specialty of taking care of new born and premature babies. Clinical neonatology deals with offering medical assistance and taking care of sick babies, especially in a neonatal intensive care unit. Neonatologists are trained in the cutting-edge medicine necessary not only to keep infants alive, but to help them flourish and become normal, healthy children. 20th Annual World Congress on Pediatrics Mar 18- Mar 19, 2019, Chicago, USA; Neonatal Care Conferences Sep 21- Sep 22, 2018, Dubai, UAE; Asian Association of Pediatric Surgeons 26th Biennial Congress 2018, Nov 29- Dec 03, 2018, Dubai, United Arab Emirates; World Neonatal Healthcare Conference, Oct 26-Oct 27, 2018, Toronto, Canada; 22nd World Neonatal Congress, Sep 19- Sep 20, 2018, Hong Kong; Asia-Pacific Pediatric Cardiac Society 7th Congress 2018, Aug 30- Sept 01, 2018, Kuta Badung, Indonesia; 23rd European Pediatrics Conferences Sep 20- Sep 22, 2018, Lisbon, Portugal. 27th International Conference on Pediatrics, Neonatology and Pediatric Nursing, Sep 24- Sep 25, 2018, Tokyo, Japan; European Pediatrics Conference, Sep 10- Sep 12, 2018, Copenhagen, Denmark; 31st International Symposium on Pediatric Surgical Research 2018, Oct 12- Oct 14, 2018, Taormina, Italy; Austrian Society for Pediatrics and Adolescent Medicine 56th Annual Meeting 2018, Sep 27- Sep 29, Linz, Austria; 4th International Pediatric Medical Congress 2018, Nov 15- Nov 17, 2018, Dubai, United Arab Emirates; Pediatric Society of New Zealand 70th Annual Scientific Meeting 2018, Nov 07- Nov 09, 2018, Nelson, New Zealand; 9th Neonatal Cardiology & Hemodynamic Conference 2018, Oct 09- Oct 10, 2018, Durham, United Kingdom. Clinical Oncological Society of Australia; Bangladesh Pediatric Association- BPA; American Society of Clinical Oncology; American Academy of Pediatrics. Neonatal & Pediatric Oncology is the term used to comprise all malignant conditions among neonates & children with cancer. The most common childhood cancers are leukemia (begins in blood-forming tissue such as bone marrow), lymphoma (cancer in the cells of immune system), neuroblastoma (nerve cells), retinoblastoma (occurs in the tissues of the retina), Wilms tumor (kidney cancer), and brain tumors, such as gliomas. Childhood cancers are very rare and may differ from adult cancers in the way they grow, spread, treated, and respond to treatment. Australasian Pediatric Endocrine Group Annual Scientific Meeting 2018, Jul 29- Aug 01, 2018, Newcastle, Australia; Union of European Neonatal and Perinatal Societies 8th International Congress 2018, Oct 03- Oct 05, 2018, Bucharest, Romania; ECCO 2018 European Cancer Summit, Sep 07- Sep 09, 2018, Vienna, Austria; 20th Annual World Congress on Pediatrics, Mar 18-Mar 19, 2019, Chicago, USA; Euro-Global Conference on Pediatrics and Neonatology, Sep 13- Sep 15, 2018, Rome, Italy; 3rd Nursing World Conference, Sep 17- Sep 19, 2018, Rome, Italy; 15th Asia Pacific Oncologists Annual Meeting, Sep 5- Sep 6, 2018, Tokyo, Japan. International Society of Pediatric Oncology; French Society of Pediatrics; American Association for Cancer Research; European Society of Surgical Oncology. Pulmonology is a branch of medicine deals with the study of diseases concerning respiratory tract. Pulmonary medicine emphases on the diagnosis, prevention, causes, and treatment of illnesses affecting the lungs. The Pediatric Pulmonary Division offers extensive diagnostic and clinical services to infants, adolescents and children with acute and chronic respiratory disorders. 32nd Euro Congress on Cancer Science & Therapy, Mar 07- Mar 08, 2019, Barcelona, Spain; International Conference on Frontiers in Lung Cancer, Nov 07- Nov 08, 2018, Singapore; Euro Oncology Summit, Oct 18- Oct 19, 2018, Amsterdam, Netherlands; ECOP4 - European Conference of Oncology Pharmacy, Oct 25- Oct 27, 2018, Nantes, France; The Lymphoma and Myeloma Congress, Oct 17- Oct 20, 2018, New York, US; 6th International Oncology Conference, Oct 11- Oct 12, 2018, Abu Dhabi, UAE; 19th Meeting of the European Association for Hematopathology 2018, Sep 29- Oct 4, 2018, Edinburgh, UK. The Neonatal Society Autumn Meeting 2018, Nov 16, 2018, London, United Kingdom; ASPED — 4th Arab Society for Pediatric Endocrinology and Diabetes Conference, Dec 06- Dec 08, 2018, Muscat, Oman; Radiology and Oncology — 2nd World Congress on Radiology and Oncology, Jul 16- Jul 17, 2018, Dubai, United Arab Emirates; EOC 2018 — 6th Annual Emirates Oncology Conference, Nov 08- Nov 10, 2018, Abu Dhabi, United Arab Emirates; ASPA 2018 — 15th Conference of Asian Society of Pediatric Anesthesiologists, Aug 17- Aug 19, 2018, Bangkok, Thailand; International Society for Neonatal Screening 11th European Regional Meeting 2018, Oct 14- Oct 17, 2018, Bratislava, Slovakia; RCPSYCH Faculty of Child & Adolescent Psychiatry Annual Conference 2018, Sep 20- Sep 21, 2018, Glosgow, United Kingdom. Leukemia is a cancer of the blood cells. Blood cells and platelets are produced in the bone marrow of the individual. In leukemia, some new white blood cells (leukocytes) fail to mature properly. These immature white blood cells continue to reproduce at a rapid rate, crowding out healthy cells, and producing a host of symptoms. It is the most common cancer in children and teens. It affects almost one in three with cancer. It is usually described either as “acute”, which grows quickly, or “chronic”, which grows slowly. Most childhood leukemias are acute lymphocytic leukemia (ALL), it is a type of white blood cells which fights against infection. On the other hand, acute myeloid leukemia (AML) is cancer of the blood in which too many myeloblasts, immature white blood cells, are produced in the bone marrow. Chronic leukemia’s are rare in children. Chronic myeloid leukemia (CML) and chronic lymphocytic leukemia (CLL) are mainly two types of chronic leukemia. 7th Pediatric & Neonatal International Conference 2019, Feb 07- Feb 08, 2019, Dubai, UAE; National Neonatology Forum of India 38th Annual Convention 2018, Dec 13- Dec 16, 2018, Uttar Pradesh, India; 15th World Congress on Blood Cancer, May 09- May 10, 2019, Amsterdam, Netherlands; 2nd World Conference on Medical Oncology & Hematology, May 27- May 28, 2019, London, UK; 50th Congress of the International Society of Pediatric Oncology 2018, Nov 16- Nov 18, 2018, Kyoto, Japan; 4th International Neonatal Multi-speciality Conference 2018, Nov 08- Nov 10, 2018, Corniche-Abu Dhabi, UAE; Cancer Genomics Conference: New Era for Cancer Prevention, Oct 08-Oct 09, 2018, Dubai, UAE. Cancer Genomics Conference: New Era for Cancer Prevention, Oct 08-Oct 09, 2018, Dubai, UAE; 10th Annual Congress on Biomarkers, Clinical Research & Therapeutics, Oct 03-Oct 04, 2018, Los Angeles, California, USA; Euro Oncology Summit, Oct 18-Oct 19, 2018, Amsterdam, Netherlands; 36th World Cancer Conference, Oct 11- Oct 13, 2018, Zurich, Switzerland; 3rd World Congress on Oncology & Radiology, April 08- April 09, 2019, Abu Dhabi, UAE; 27th World Oncologists Annual Conference on Medical Oncology, Radiation Oncology & Surgical Oncology, Dec 07- Dec08, 2018, Chicago, Illinois, USA; International Conference on Robotic Oncology Oct 26- Oct 27, 2018, Osaka Japan. Pediatric & Neonatal Hematology involves the study, diagnosis, treatment and prevention of blood diseases and blood-forming organs in the body of infants, children, and adolescents. A medical practitioner who specializes in the field of pediatric hematology, they will be referred to a Pediatric hematologist. Blood disorders involve problems in the body with blood vessels, red blood cells (erythrocytes), white blood cells (leukocytes), platelets, bone marrow and lymph nodes. The types of blood disorders in children and teens include; anemia which is a common blood disorder in which there are fewer RBCs (Red Blood Cells) in the body than normal, and concentration of hemoglobin is low in the blood. Sickle Cell disease is a group of blood disorders that prevent normal blood flow because of the effect on the hemoglobin within erythrocytes. It is the most common disorder. There are many other blood disorders that can occur in children, which can be diagnosed and treat by a Pediatric hematologist. 50th Congress of the International Society of Pediatric Oncology, Nov 16- Nov 19, 2018, Kyoto, Japan; Global Conference on Healthcare Management and Technology, Aug 20- Aug 22, 2018, Dubai, UAE; 2nd International Conference on Oncology and Radiology (ICOR 2018), Sep 17- Sep 19, 2018, Rome Italy; 12th International Conference on Pediatrics Health Care, Aug 16- Aug 18, 2018, Paris, Idaho, UK; 43rd Australian and New Zealand Annual Scientific Meeting on Intensive Care and 24th Annual Pediatric and Neonatal Intensive Care Conference 2018, Oct 11- Oct 13, 2018, Adelaide, Australia; 14th International Clinical Pediatrics Conferences, Jun 14- Jun 16, 2018, Rome, Italy; Pediatrics Congress 2019, 32nd Pediatric Intensive Care Society Conference 2018, Sep 19- Sep 21, 2018, Bristol, United Kingdom. Pediatric & Neonatal Immunology is a branch of pediatrics which deals with immunological or allergic disorders of neonate’s, infants, children, and adolescents. Pediatric Immunology plays important role in understanding the cellular and molecular mechanisms underlying the immune system and it has seriously involved in the development of new diagnostic tests, treatment, and prevention. There are numerous types of organs in our body which plays a vital role in immunological functions. Some of the organs include thymus, bone marrow, spleen, and tonsils. 20th World Congress on Pediatric Oncology and Clinical Pediatrics, Sep 17- Sep 18, 2018, Philadelphia, USA; 3rd World Congress on Cancer Biology and Immunology, Mar 11-Mar 13, 2019, Milan, Lombardy, Italy; World Pediatric Allergy and Immunology Summit, April 19-20, 2019, Chicago, USA; 3rd International Conferences on Tumor & Cancer Immunology and Immunotherapy Sep 17- Sep 18, 2018, San Diego, California, USA; International Conference on Oncogenesis and Oncologic Emergency Medicine, Sep 17- Sep 18, 2018, San Diego, California, USA; Annual Congress on Cancer and Stem Cell Research, Oct 17-Oct 18, 2018, New York, USA; 2nd International Conference on Cancer Genetics and Epigenetics, Nov 12-Nov 13, 2018, Tokyo, Japan. 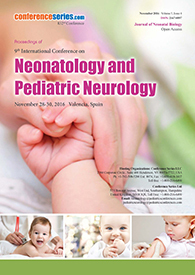 International Neonatology Association; European Oncology Nursing Society; Chinese Society of Pediatrics- CSP; The Malaysian Pediatric Association. 26th European Congress of Perinatal Medicine 2018, Sep 05- Sep 08, 2018, Saint Petersburg, Russia; 14th Global Biomarkers Summit, Oct 18-Oct 19, 2018, Amsterdam, Netherlands; 17th European Congress of Internal Medicine, Aug 30- Sep 1, 2018, Wiesbaden, Germany; 2nd International Conference on Pediatric Pharmacology and Therapeutics, Jul 31- Aug 01, 2019, San Antonio, USA; 12th Annual Pediatric Review and Sleep Medicine Update, Oct 12- Oct 14, 2018, Portland, Oregon, United States; 20th World Congress on General Pediatrics and Adolescent Medicine, Sep 17- Sep 18, 2018, Philadelphia, Pennsylvania, USA; ESMO Immuno-Oncology Congress 2018, Dec 13- Dec 16, 2018, Geneva, Switzerland; Pediatric Oncology Meetings 2019. Asia Pacific Pediatric Association; Acoustic Neuroma Association of Australia; American Pediatric Society Texas City; European Association for Cancer Research. Medical imaging denotes diverse technologies that are used to assess the human body to identify, monitor, or treat medical conditions. Moreover, medical imaging is often justified in the continuation of a disease already diagnosed and/or treated. Medical imaging, particularly X-ray based examinations and ultrasonography, is vital at all major levels of health care and in a variety of medical setting. Imaging findings in term neonates must be evaluated according to different rules from those used in other age groups. 16th Asia Pacific Congress of Pediatrics 2018, Aug 24- Aug 26, 2018, Bali, Indonesia; 20th Annual Summer Conference on Pediatrics 2018, Jul 25- Jul 28, 2018, Lake Tahoe, United States; Pediatric Nutrition 2018 — Advances in Neonatal and Pediatric Nutrition, Jul 19- Jul 21, 2018, London, United Kingdom; 20th Perinatology and Neonatology Conferences, Dec 04- Dec 06, 2017, Madrid, Spain; 7th Congress of the European Academy of Pediatric Societies, Oct 30- Nov 3, 2018, Paris, France; World Cancer Summit 2018 July 02-03, 2018 Bangkok, Thailand; International Conference on Cancer Research and Diagnostics, Aug 15- Aug 16, 2018, Singapore. American Cancer Society; Asian Society for Pediatric Research (ASPR); European Society for Medical Oncology; International Pediatric Association. An adequate nutrition during cancer plays a significant role in numerous medical outcome measures, such as treatment response, cost of care, and quality of life. Nutrition is relevant to all components of cancer control including epidemiology, prevention, treatment, supportive care, diagnosis, rehabilitation, and survivorship. Nutrition is important for the health of all children, but it is mainly important for children getting cancer treatment. Eating the right kinds of foods before, during, and after treatment can help a child to stay healthy and strong. The main objective of nutrition care for pediatric cancer patients is to achieve normal growth, development, prevent problems, and normal activities. 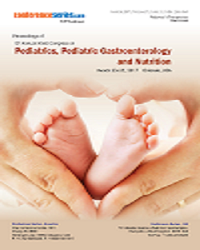 Advances in Neonatal and Pediatric Nutrition Jul 19- Jul 21, 2018, London, UK; 4th Annual Conference on Pediatric Nutrition, Gastroenterology, and Child Development, Mar 18-Mar 19, 2018, Atlanta, Georgia, USA; 9th Euro Breast Cancer Summit, Oct 18-Oct 19, 2018, Amsterdam, Netherlands; Advances in Neonatal Conferences and Pediatric Nutrition Conferences, Jul 19- Jul 21, 2018, London, UK; 10th Asia Pacific Pediatric Endocrine Society Scientific Meeting 2018, Nov 07- Nov 10, 2018, Chiang Mai, Thailand; CRT-2018 — 3rd International Conference on Cancer Research and Targeted Therapy, Aug 06- Aug 08 2018, London, United Kingdom; Portuguese Society of Pediatrics 19th National Congress 2018, Oct 24- Oct 26, 2018, Estoril, Portugal. Rome International Society for Social Pediatrics & Child Health; Society for Pediatric Urgent Care; European Society for Pediatric Neurosurgery; American Society for Radiation Oncology. Pediatric nursing is one of the greatest assets in the medical field to take care of infants, and children up to adolescence, so they may recover optimal health. It is the science of infant care and scientific analysis of childhood. The objective of pediatric is to normalize the life of the child during hospitalization in preparation for the family home, community, and school, reduce the impact of the child's unique condition, and foster maximal growth and development, prevention of disease and elevation of the health of the child. It is classified into different fields, these are neonatal nursing, pediatric emergency nursing, direct nursing care and palliative pediatric nursing (it involves fostering of maximal growth and development). 29th International Pediatric Nursing & Healthcare Conferences Aug 16- Aug 17, 2018, Madrid, Spain; 50th Congress of the International Society of Pediatric Oncology 2018, Nov 16- Nov19, Kyoto, Japan; International Conference on Pediatric Nursing & Healthcare 2018, Sep 21- Sep 22, 2018, Vancouver, Canada; International Conference on 33rd Oncology Nursing and Cancer Care, Sep 17- Sep 18, 2018, Tokyo, Japan; International Conference on Cancer Nursing, Sep 23- Sep 26, 2018, Auckland, New Zealand; International Conference on Cancer Nursing (ICCN) 2018, Sep 23- Sep 26, 2018, Auckland, New Zealand; 33rd International Conference on Oncology Nursing and Cancer Care, Sep 17- Sep 18, 2018 ,Tokyo, Japan. Society for Pediatric Research; Union of European Neonatal & Perinatal Societies; Society of Pediatric Nurses; Pediatric Endocrine Society; International Society of Pediatric Oncology; French Society of Pediatrics. Palliative care seeks to improve quality of life. Palliative care can be better explained as the care given for the patients who was suffering with serious or life-threatening disease, such as cancer. It aims to prevent or treat the symptoms and the adverse effects of the cancer as early as possible, in addition to any associated social, psychological and spiritual problems. Palliative care is also known as supportive care, symptom management and comfort care. Anyone, irrespective of age or type and stage of cancer may obtain palliative care before, after, and during treatment. It also firmly influences the course of an illness and when applied early during an illness may extend life. Malaysian Society of Pediatric Hematology and Oncology; Western Trauma Association; The Pediatric Society of New Zealand; Spanish Society of Neonatology; American Association for Cancer Research; European Society of Surgical Oncology. Neuroblastoma is the second most solid tumor in children which affects around 7% of all children with cancer. It is a cancer that progresses from immature nerve cells found in several areas of the body. Neuroblastoma most frequently occurs in and around the adrenal glands, which have similar origins to nerve cells and sit over the kidneys. It can also occur in other areas of the abdomen chest, neck and near the spine, where clusters of nerve cells exist. Neuroblastoma begins in very initial forms of nerve cells, frequently found in an embryo or fetus. Occasionally it forms before birth and can be found during a fetal ultrasound. Society for Pediatric Radiology; North-side Radiology Associates; Indonesian Pediatric Society; Asian and Oceania Society for Pediatric Radiology. The diagnosis of infant cancer can be influenced by many factors and depends on the symptoms a child or adolescent may be suffering. If cancer has spread to another part of the body from where it originated, it is known as metastasis. To perform diagnostic tests there are many diagnoses which are Biopsy and bone marrow aspiration, Blood tests, CT scan (computed tomography), MRI (magnetic resonance imaging), PET-CT scan (positron emission tomography), Lumbar puncture (spinal tap), Ultrasound, and X-rays. 28th World Congress on Neonatal Research and Diagnosis, Sep 19- Sep 20 2018, Amsterdam, Netherlands; 2018 World Cancer Congress, Oct 1- Oct 4, 2018, Kuala Lumpur, Malaysia; 28th World Congress on Neonatology and Diagnosis, Dec 19- Dec 20, 2018, Amsterdam, Netherlands; International Conference on Cancer Diagnosis & Treatment, Aug 02- Aug 03, 2018, Oslo, Norway; Global Congress on Cancer Science and Therapy, Aug 23- Aug 24, 2018, Madrid, Spain; International Conference on Cancer Research and Diagnostics, Aug 15-Aug 16, 2018, Singapore; 3rd Cancer Diagnostics & Treatment Conference, Nov 29-Dec 01, 2018, Dublin, Ireland. Asian Society for Neuro-Oncology; German Society for Trauma Surgery; Hong Kong Society of Digestive Endoscopy; Society of Trauma Nurses. The most widely used therapies for cancer treatment in children include Chemotherapy (To kill cancer cells drugs are used), Radiation (use of radiant energy or particles to kill cancer cells), and Surgery (to abolish cancerous cells or tumors). The type of treatment needed depends on the child's age and on the type and severity of cancer. Chemotherapy is the use of drugs to destroy remaining cancer cells in the body. A child or teen is generally given the chemotherapy drugs intravenously (through a vein) or orally (by mouth). Radiation therapy is the use of high energy X-rays or other particles such as photons that destroy or damage cancer cells in parts of the body to which cancer has spread. Immunotherapy is designed to boost the body’s natural defenses to fight against the foreign invader or cancer. Also, Bone marrow transplantation is a technique used for the treatment of cancer by producing blood cells for the growth and development. Surgical oncology is a field that deals with the surgical treatment of a variety of tumors especially cancerous tumors. The aim of the surgical oncologist is to remove the cancer and an area of healthy tissue adjacent to it, also known as a clear excision or clear margin, to avoid the cancer from repeated occurrence in that area. Pediatric surgery has an important role in treating most infants, children, and adolescent cancers. It is defined as the operative, postoperative, and diagnostic surgical care of patients from prenatal diagnosis through adolescence with inherited and acquired abnormalities and syndromes. A pediatric specialist is known as a pediatric surgeon in this field. It is divided into various types of expertise. Prenatal surgery, it deals with a fetus or unborn child. The other type of expertise in this field is neonatal surgery, which deals with infants. The objective of surgical oncology is to physically eliminate as much of the tumor as safely possible. The United States Army Institute of Surgical research; Turkish Society for Trauma and Emergency surgery; The World Federation of Associations of Pediatric Surgeons; International Society of Pediatric Surgical oncology; Chinese Society of Pediatrics- CSP; The Malaysian Pediatric Association. American Congress on Rehabilitation Medicine; Association of European Cancer Leagues; Children’s Leukemic Research Association; Indian Academy of Pediatrics. Pediatric cancer is generating genetically. The roots of pediatric cancer are hidden deep within the infant’s or child’s DNA. Cancer begins when changes in DNA trigger cells to grow out of control. Genetic predisposition for infant cancer is under diagnosis. Types of genetic testing are Karyotype test, Fluorescence In Situ Hybridization test (FISH), DNA sequencing test, Deletion/Duplication test, Methylation analysis test, SNP chromosome microarray test, and Uniparental disomy test. 2018 Symposium on Cancer Evolution & Heterogeneity, Aug 24- Aug 25, 2018, Shanghai, China; Pediatrics Congress 2019; 4th International Congress on Epigenetics & Chromatin 2018, Sep 03- Sep 05, 2018, London, UK; International Conference on Molecular Markers and Cancer Therapeutics, Oct 08- Oct 09, 2018, Dubai, UAE; Pediatrics Conference 2019; 2nd International Conference on Cancer Genetics & Epigenetics, Nov 12- Nov 13, 2018, Tokyo, Japan; 4th International Congress on Epigenetics & Chromatin, Sep 03- Sep 05, 2018, London, UK; Medical Oncology Group of Australia Annual Scientific Meeting 2018, Aug 01- Aug 03, 2018, Adelaide, Australia; 26th European Congress of Perinatal Medicine 2018, Sep 05- Sep 08, 2018, Saint Petersburg, Russia. Inclusive studies about pediatric cancer give traces to cancer etiology, enable prevention and early diagnosis, recognize biologic changes, improve survival rates in low‐income countries (LIC) by enabling quality development initiatives, and increase outcomes in high‐income countries (HIC) through studies of tumor biology and collaborative clinical trials. Classification of Pediatric Cancer, 34% of leukemias, 23% of brain tumors, and 12% of lymphomas, represent the largest diagnostic groups among the below 15-year-old or children and infants. 2nd International Conference on Cancer Biology, Therapeutics and Drug Discovery & Delivery, Oct 03-Oct 04, 2018, Los Angeles, California, USA; 2nd International Conference and Exhibition on Cancer and Therapeutics, Nov 26- Nov 28, 2018, San Diego, USA; Experts Meet on Cancer Therapy 2018, Nov 14-Nov 15, 2018, Melbourne, Australia; 4th Epigenetics & Chromatin Conference, Sep 03- Sep 05, 2018 London, UK; 2nd Annual Summer Pediatric and Neonatal Intensive Care Conferences, Oct 10- Oct 11, 2018, Marbella, Spain; 12th International Conference on Pediatric Diseases and Diagnostic Pathology, July 13-14, 2018, Toronto, Canada; 23rd Annual Pediatrics Congress & Neonatology , Nov 05- Nov 06, 2018, Bangkok, Thailand. Transfusion medicine is a vital part in the field of hematology. It is a branch of medicine which is a mixture of laboratory and clinical practices. It is concerned with transfusion of blood and blood components that confirm the best balance between safety and convenience during emergency care or surgery. Transfusion Medicine deals with the collection and testing of blood and also responsible for collecting and processing of hematopoietic stem cells for blood and bone marrow transplantation and also for the testing, essential for organ transplantation. Pre-transfusion testing and blood compatibility testing are specific to pediatric and neonatal transfusion as there are several important differences and special circumstances when compared to adults. Asian Society for Pediatric Infectious Diseases; European Society For Developmental Perinatal & Pediatric Pharmacology; European Society of Gynecological Oncology; International Neonatology Association. A person who has had cancer is commonly called a cancer survivor. Cancer survivorship has at least two common meanings: having no signs of cancer after treatment is finished. Another one is a person living with cancer or starts diagnosis. There are three phases of survivorship – acute survivorship (cancer treatment is the focus), extended survivorship (effects of cancer and treatment are the focus), and permanent survivorship (long-term effects of cancer and treatment are the focus). 20th International Conference on Pediatrics & Primary Care, Sep 03- Sep 04, 2018, Hilton Zurich Airport, Zurich, Switzerland; International Conference on Biomarkers and Cancer Targets, Jul 16- Jul 17, 2018, Dubai, UAE; 3rd Cancer Diagnostics Conference, Sep 20- Sep 21, 2018, Berlin, Germany; International Cancer Diagnosis & Treatment Conference, Aug 02- Aug 03 2018, Oslo, Norway; Pediatric Congress 2019; International Society for Pediatric And Adolescent Diabetes Scientific Meetings 2018, Oct 11-Oct 14, 2018, Hyderabad, India; World Pediatric Congress 2018, Aug 16- Aug 17, 2018, Holiday Inn Atrium, Singapore; 26th European Pediatrics Congress , Oct 22- Oct 23, 2018, Amsterdam, Netherlands. 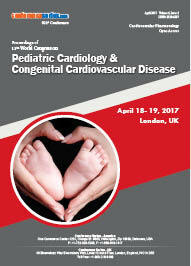 Acoustic Neuroma Association; Fetal Medicine Association; International Pediatric Transplant Association; The Association for European Pediatric and Congenital Cardiology. Pediatric cancer prevention is characterized as active measures to decrease the risk of cancer growth. Most of the cancer cases are due to environmental risk factors, and various, but not all, of these environmental factors, are the controllable way of life choices. An individual's risk of developing cancer can be significantly decreased by healthy activities. Pediatric cancer prevention research includes premedical, medical and translational, with a distinct consideration given to molecular discoveries and an accentuation on constructing a translational bridge between the crucial and clinical sciences. 20th Congress of the Federation of Asian & Oceania Perinatal Societies 2018, Sep 18- Sep 19, 2018, Manila, Philippines; Miami Neonatology 42nd Annual International Conference 2018, Nov 11- Nov 14, 2018, Miami Beach, United States; India Academy of Pediatrics 56th Annual Conference 2019, Feb 06- Feb 10, 2019, Mumbai, India; 16th International Conference on Pediatrics and Pediatric Cardiology, Feb 18-19, 2019, Amsterdam Netherlands; International Conference on Pediatric Healthcare, Jun 12- Jun 13, 2019, Prague, Czech Republic; International Pediatrics, Infectious Diseases, and Healthcare Conference, Nov 22- Nov 24, 2018, Cape Town, South Africa; 2nd International Conference on Hematology and Oncology, Aug 23- Aug 25, 2018, London, UK. Pediatric Oncologists 2019 conference is a perfect stage for escalating the innovative techniques and novel research floats in Pediatrics. Wherever all through the world these new techniques and move framework will be used to mesmerize pediatrics and youths. The purpose of this get-together is to make new considerations for better treatment accommodatingly that will be significant all through the world. Pediatric Oncology is the branch of medicine which deals with the diagnosis and treatment of cancer in children, infants, and adolescents. Childhood Cancers can develop as the result of changes in DNA in cells that occurs before birth. It is the most challenging for specialties because, despite successful treatment of many children, there is a high death rate still connected with different sorts of illness. 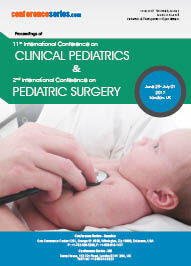 Pediatrics is one of the most significant practices of medicine. It deals with the medical attention of children, adolescents, and neonates. There are a huge number of populations as a number of births all over the world are increasing day by day. The bodies of children are more prone to infection and more susceptible to diseases than teenagers. Common treatment includes surgery, chemotherapy, immunotherapy, radiation therapy, and germ/stem cell transplant. At the neonatal and pediatric we will expect the experienced gathering from Universe so that new idea or new research will come with a discussion at the conference and that will be productive to children suffering from cancer diseases. The foundation of pediatric oncology research is accurate knowledge of the epidemiology of childhood cancers in the country. Although child cancers account for less than one percent of all cancers diagnosed each year cancer is nevertheless a significant health issue for Japan. Every day, 43 children are diagnosed with cancer and 12% of children diagnosed with cancer do not survive. In Japan during 2017, the estimated mortality rate of an infant is 4.4 per 1,000 live births. More than 40,000 children undergo treatment for cancer each year. Japan has two specialist pediatric oncology Societies: Children's Cancer Association of Japan (CCAJ) and the Japan Children's Cancer Group (JCCG) These two centers work closely with dedicated regional shared care services to ensure children can receive as much of their treatment as close to home as possible. 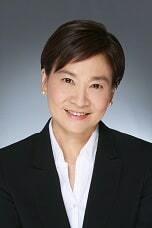 There are several universities and hospitals that deals with the cancer therapies are Pediatric Hematology & Oncology(Miyagi's Children Hospital), University of Tokyo Hospital, Keio University School of Medicine, National Cancer Centre Hospital, St. Luke's International Hospital, and the Wakayama Medical University. Health scientists and specialists conduct a translational study that influences basic science to clinical trials to enlarge results for children and youngsters with cancer. Reflecting this imperative, Pediatric Oncologists 2019 aims to educate Pediatricians and achieve the goal of reducing infant mortality rate. In the next 5–10 years, new technologies and biomarkers to recognize early markers of cancerous in children go through treatment for acute lymphocytic leukemia (ALL) will probably be identified or better developed. The development in the treatment of tumor is quickly growing all over the worldwide market. The present report centers around the whole oncodiagnostics showcase for the estimated time of 2015 to 2020. The global pediatric market was valued at $80.7 billion in 2013 and $83.6 billion in 2014. This is predicted to reach nearly $100.7 billion by 2019. The general risk diagnostics stage will bring a quick variation by making a significant movement in the field of improvement identified with an oncodiagnostic broadcast. Such trials of new or existing agents to prevent and remediate cancer damage will arise to mature, providing information for specialists and clinical trials as they design a new generation of clinical trials to cure disease and reduce toxicity. Osaka is the second largest metropolitan area in Japan and serves a major economic hub. Historically a merchant city, Osaka has also been known as the “Nation’s Kitchen”. With a population of 2.5 million, Osaka is Japan’s third largest and second most important city. It has been the economic powerhouse of the Kansai region for many centuries. The city’s west side has the main port as well as a tourist destination with attractions such as Kyocera Dome, Universal Studios Japan, Osaka aquarium, Minami, Osaka castle, Umeda sky building and the Tempozan Harbour Village.